OZ Naturals Super Youth Retinol Moisturizer caught my attention at first glance because of its natural ingredients and practical packaging. Spending lots of money on skincare products, especially products that have a luxurious appeal (i.e., intoxicating fragrance and fancy packaging) doesn’t necessarily mean that we can prevent or reverse aging. Although aging is inevitable, we can surely delay the onset and process of aging. Before I begin my review, I would like to mention my personal skin-type, complexion, and skin concerns so you all can get an idea of how you might be able to relate to my experience with this moisturizer. Until recently, my skin type was combination-oily, but now I think it is between sensitive to normal. I do have occasional breakouts, very slight amount of redness near my nose and chin, and mild acne scarring. My scars have become more evident when my skin is irritated or de-hydrated. In the summer months, especially with the use of sunscreen, my t-zone can become slightly oily and face feels dewy, but I don’t mind that at all. As I just turned 27 a couple of months ago, oh my, I treasure this dewiness. Keeping your face hydrated and massaged means lesser wrinkles in the long run. OZ Naturals Super Youth Retinol moisturizer contains ingredients such as Vitamin C, Hyaluronic Acid, Vitamin E, Vitamin B5, Shea Butter, Green Tea, Chamomile, Rose Hips, Sweet Almond Oils, Macadamia Nut Oil, Raspberry Seed Oil, Pomegranate Seed Oil, and extracts from various types of berries. Why are these ingredients good for you and why did they impress me? Vitamins are anti-oxidants, which slow down the process of natural aging, while preventing and fighting aging that is caused my sun damage. Vitamin C along with the other vitamins helps reduce/fade scarring and sunspots. The enclosed tube-like packaging of this moisturizer is crucial for keeping Vitamin C stable because this ingredient can easily oxidize and become unstable thus losing its effectiveness on your skin. Retinoic Acid and Hyaluronic Acid help in slowing down the process of aging, keeps skin tight, and resurfacing your damaged skin-cells. Shea Butter, Green Tea, and Chamomile help to soothe, condition, and heal sensitive and dry skin. For being a more natural product, this moisturizer has no discernable scent. I tested this moisturizer on both my face and hands – my hands have been looking and feeling quite dry over the past few months. I tried it on a sunny, warmer day, and on a colder, gloomy day, pairing it with sunscreen when I left my home. I tried it with base makeup as well as just a light amount of blush and it worked well both ways (I have posted a makeup look wearing this moisturizer on my Instagram - see link at the end of the post). 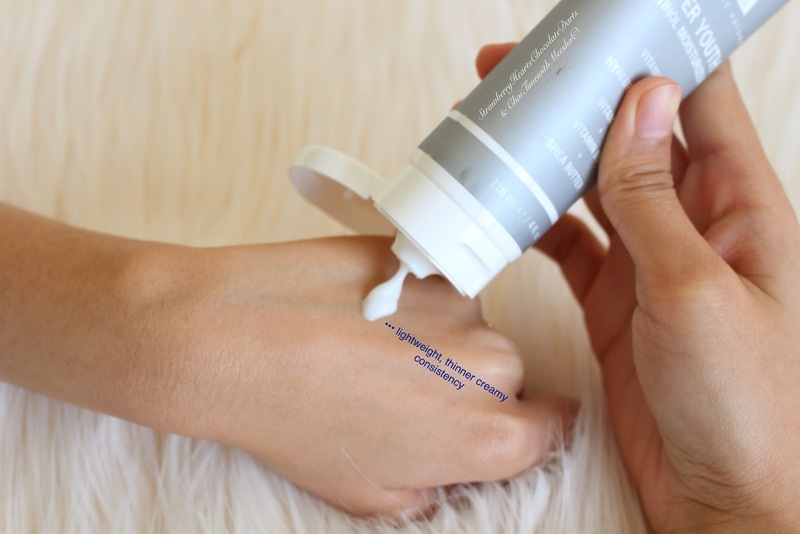 This moisturizer erased the dry, scales on my hands, especially near the knuckles, and made them feel so smooth, without any tackiness. 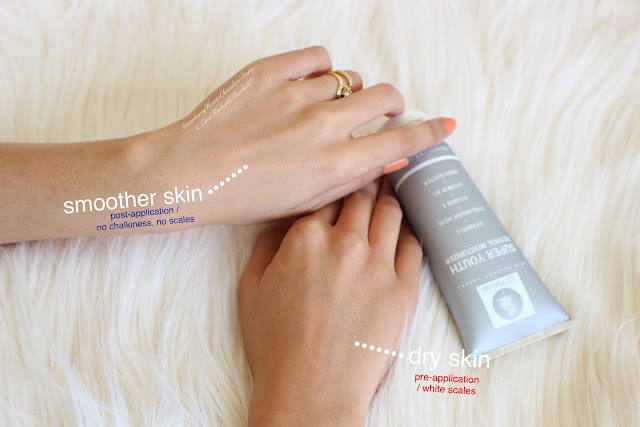 This moisturizer blends easily and absorbs quickly – both on my face and hands. Its texture and consistency is very light, yet creamy. 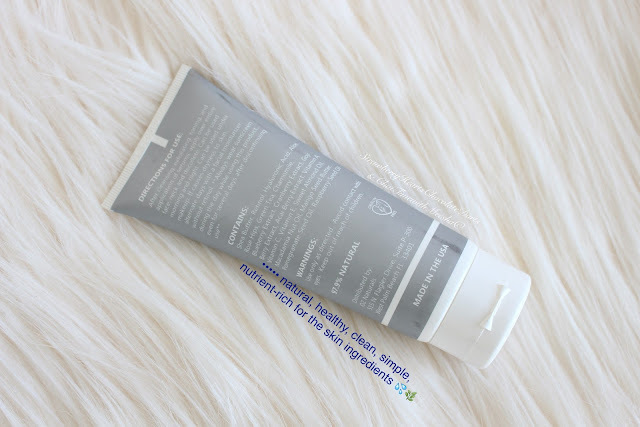 I usually prefer gel moisturizers, but this one seems to be a perfect gel-cream hybrid. A little goes a long way! I definitely needed to use less of this product in comparison to the other moisturizers in my skincare collection. Even though this moisturizer contains various natural oils, I did not experience any major breakouts or development of excessive sebum. Additionally, I suggest wearing this moisturizer with sunscreen because using Retinoic Acid can cause extra sensitivity when exposed to direct sunlight. Lastly, I would like to point out that this moisturizer is friendly to your wallet. A 4 oz. tube retails for $28.99 (which comes to $12.32 for 1.7 oz.). 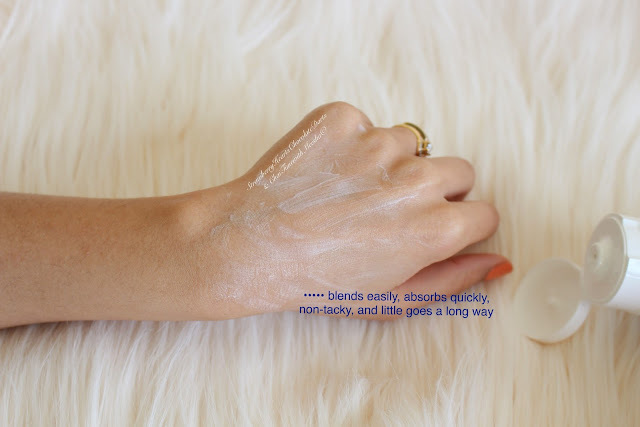 Although that might still seem expensive in comparison to drug-store moisturizers, let me give you both a drugstore and high-end comparison to consider. One of my drugstore favorite moisturizers (“X”) costs $17.97 for 1.7 oz. It is a gel-cream moisturizer with hyaluronic acid. Even though I say that this drugstore moisturizer X is one of my favorites, I do have to use quite a bit of it (more than the amount I need of the OZ Naturals moisturizer) to feel the hydration. OZ Natural’s moisturizer is actually cheaper than drugstore moisturizer X (comparing 1.7oz. for each). Now let’s consider the price point of one of my favorite high-end gel-cream moisturizers (“Y”): $39 for 1.7 oz. Again even though I do like this high-end moisturizer Y, it does take time to absorb into my skin and leaves the face feeling slightly tacky. My blush etc. breaks down easily when I wear Y. Like I mentioned OZ Naturals moisturizer absorbs quickly, blends nicely, and wears well under makeup. Well, in this later scenario you’re actually saving money without compromising on quality. Based on my experience, I think this moisturizer will suit a range of complexions and skin-types - normal, sensitive, combination-oily, and dry (mild-to-medium, not chronic dry skin). I am so pleased with the face this makes my face and neck area feel soft and smooth. Disclaimer: I would like to thank OZ Naturals and Brandbacker for providing press sample for this post. This was such a helpful review! I can't believe the great price of this product, especially for the caliber of ingredients. My skin is kinda dry and sensitive right now so I am really interested in picking this up!